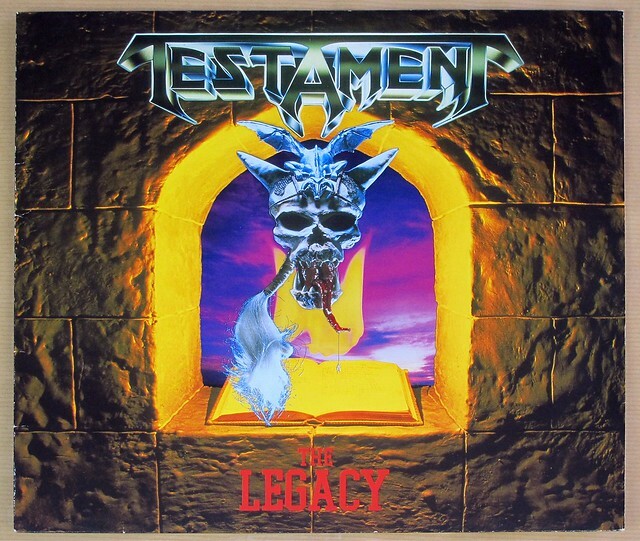 Album Summary: "The Legacy" is the debut album of the band Testament. It was released in 1987. 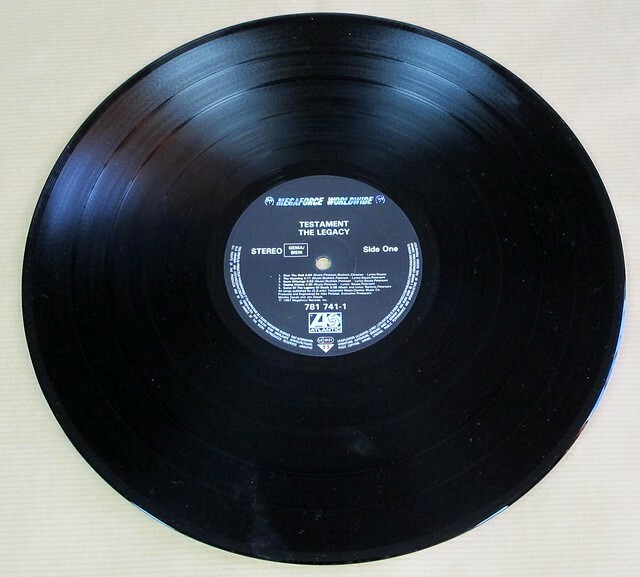 It was an underground hit and is widely considered to be the band's best album, although it did not break the band into the rock mainstream. Alex Perialas is an American Producer and sound engineer, and owner of the "Pyramid Sound Recording Studios" in Ithaca, and has been responsible for the production and engineering of dozens of Heavy Metal albums during the 1980s. 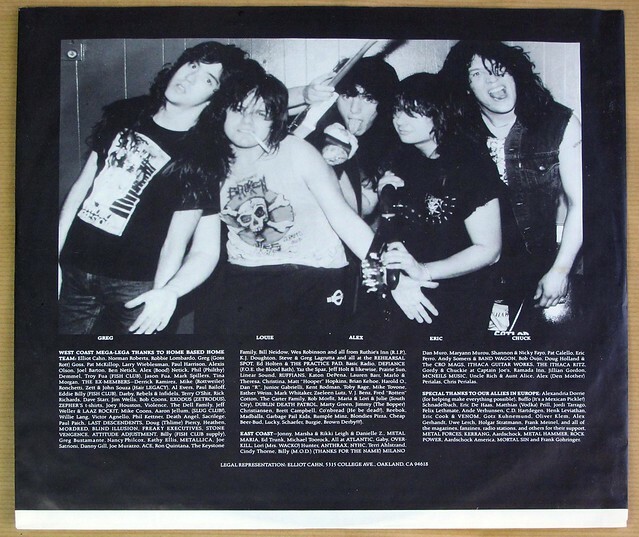 Alex Perialas and Carl Canedy have been working both together on the albums: Anthrax's "Spreading the Disease" , "Fistful of Metal", Overkill's "Feel The Fire", "E-X-E - Stricken by Might"
Jon Zazula is founder of the Megaforce record company , is a record producer and discovered and promoted Metallica. 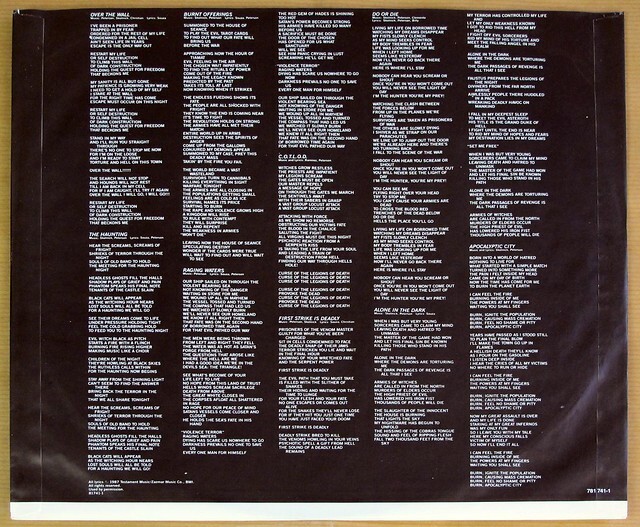 Album Contents Original custom inner sleeve with album details, lyrics and photos. 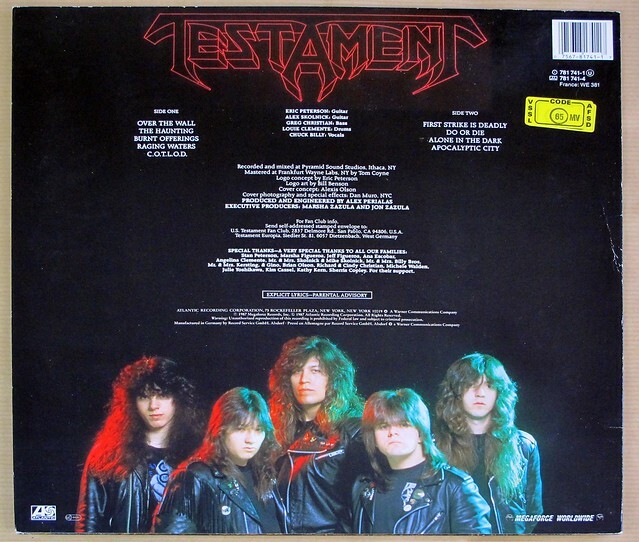 High Quality Photo of Album Front Cover "Testament The Legacy"
Album Back Cover Photo of "Testament The Legacy"